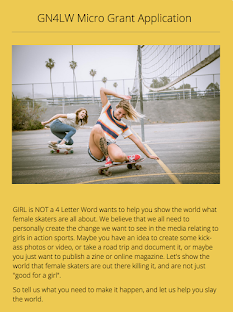 Girl is NOT a 4 Letter Word: The Screaming Hand Art Show. The Screaming Hand Art Show. The Screaming Hand art show has officially started! 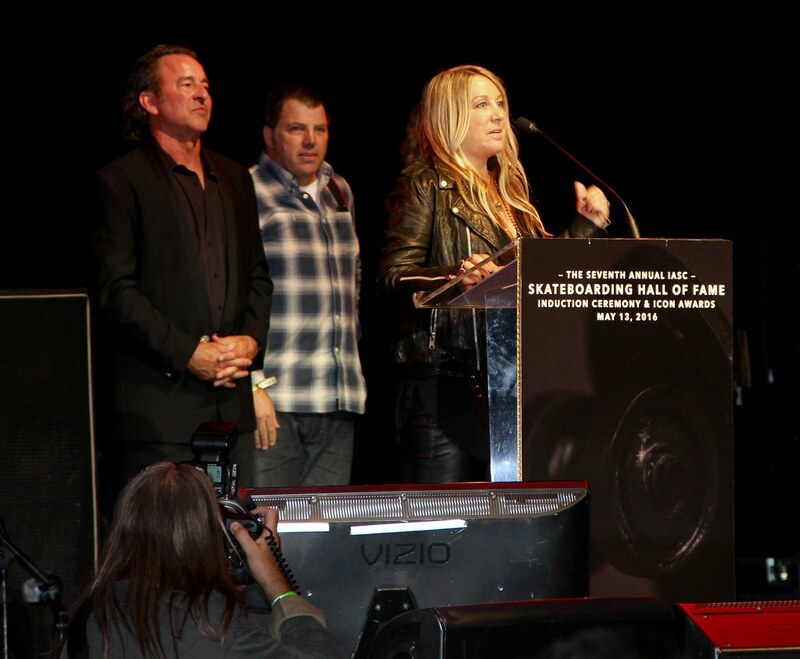 It kicked off in Los Angeles on July 10 with an amazing reception for the artists and it will now be making its way around the world for the next year. 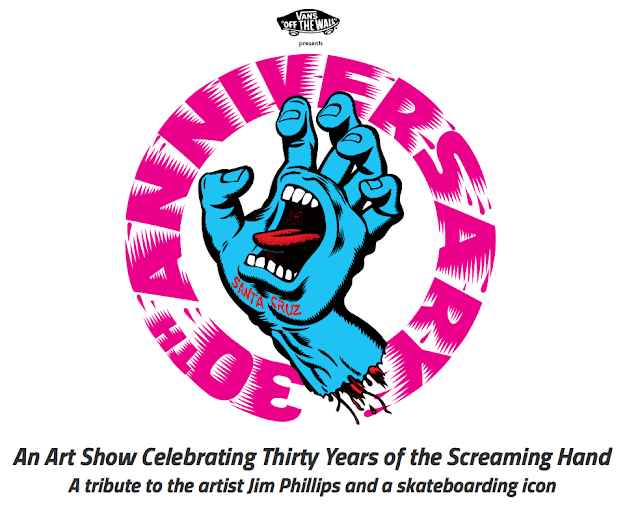 The show celebrates 30 years of The Screaming Hand and is a tribute to original artist Jim Phillips. 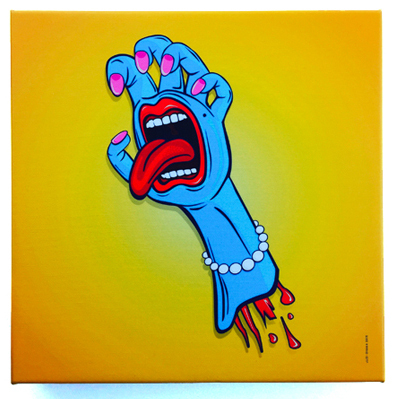 Legendary artists and skaters like Natas Kaupas, Jimbo Phillips, Justin Forbes, Mark Gonzales, Jason Jessee, Eric Dressen, John Lucero, Keith Meek, Mike Giant, Lucas Musgrave, Steve Olsen, Steve Caballero and more all designed unique versions of the Screaming Hand for the show. This show is especially meaningful as it features just ONE female artist, Judi Oyama. 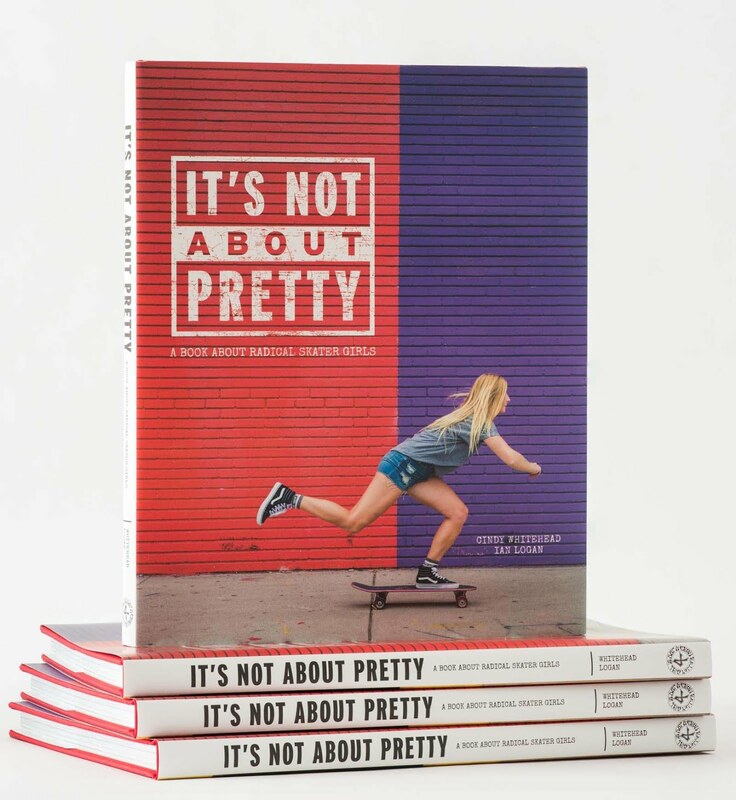 Judi is a legendary pro skater from the 1970's who rode for Santa Cruz Skateboards & skated vert and slalom. Judi is still out there skating today, racing in slalom comps and skating any chance she gets. 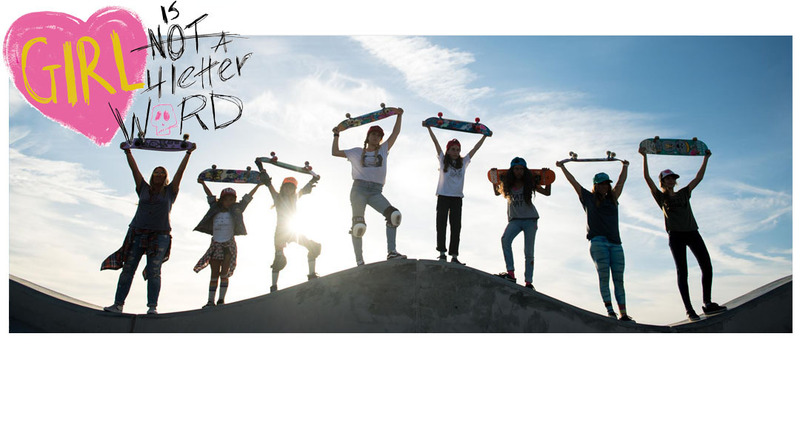 She is also an extremely talented artist with her own design firm and a line of tees called Badass Skate Mom that launched earlier this year. The piece she created for the Screaming Hand Art show is extremely unique and powerful. She brought an edgy element of femininity to the project in a way that only she can. It was awesome to see it in person, so if the show happens to be in your area you must check it out!
" I wanted to create a female version of the Screaming Hand. 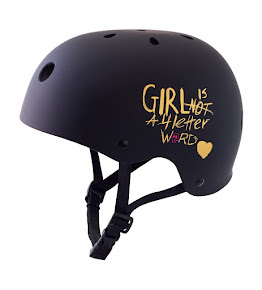 Skateboard Graphics are mostly designed by dudes and being one of the few females in the skateboarding industry doing graphics, I wanted it to have a bit of attitude. I was actually going to do the middle finger bird, but choose to do something a bit calmer. I drew and then scanned my drawing into the computer and reworked it in illustrator, then output it to a museum-quality canvas on a wood frame"
We think its pretty Rad!